Steve Heeley, the CEO of the healthy fast-casual chain Veggie Grill, is betting that its burgers taste as good — or even better — than McDonald’s Big Macs. There’s one big difference between the two: the former is 100% vegan. Veggie Grill’s burgers are made of pea protein, while its “chicken” sandwich contains soy, pea, and wheat protein. “Today’s consumer is more mindful and aware that eating a diet made up primarily of veggies, fruits, grains and nuts is better for you,” Heeley — who, predictably, is a vegan — tells Business Insider. Launched in 2006, Veggie Grill serves fast-casual food that has fewer calories than traditional fast-food items. Its menu includes dishes like tempura green beans and “fish” tacos, with prices ranging from $3.50 to $11.50. The chain has 28 locations right now, all of which are in California, Washington, and Oregon. But after a $22 million bump from investors, Veggie Grill is preparing for a nationwide expansion. By 2020, it plans to double in size. Heeley, who previously served as the COO for national chains Baja Fresh and Au Bon Pain, considers Veggie Grill fast-casual rather than fast-food (workers periodically come around to refill drinks, and customers eat on real plates). But its popularity speaks to a larger shift in consumer preferences toward healthier, meat-less options. And the brand is seizing the opportunity to compete with legacy brands like McDonald’s and KFC. To lure fast-food customers, Veggie Grill is offering several veggie burger options. 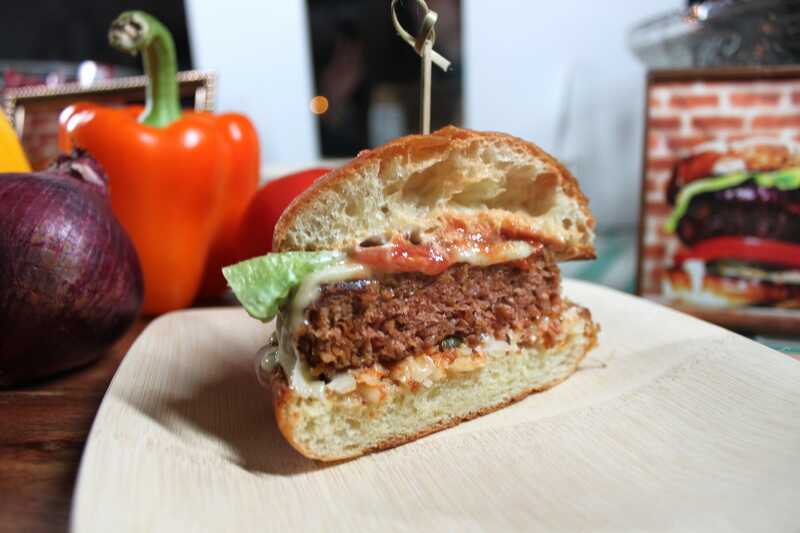 On December 14, all locations will start selling the Beyond Burger, a plant-based (non-meat) burger made mainly from pea protein, yeast extract, and coconut and sunflower oil. Veggie Grill’s partnership with Beyond Meat makes sense, since both companies aim to get some carnivore converts. “If someone wants to eat a burger and fries but move away from fast food and get veggie-centric food, we are a great alternative for them,” Heeley says. Persuading Americans to eat less meat is definitely an uphill battle — Americans are still among the highest per capita eaters of meat in the world., But that might change, since the amount of meat US consumers eat has been slowly declining. Other salad-centric chains, likeFreshii and Sweetgreen, and vegan chains, like Choices Café and Ecorazzi, have found success in recent years, too. If vegan food startups can craft plant-based burgers that taste as delicious as real beef (and get their prices down), they may give McDonald’s a run for its money.